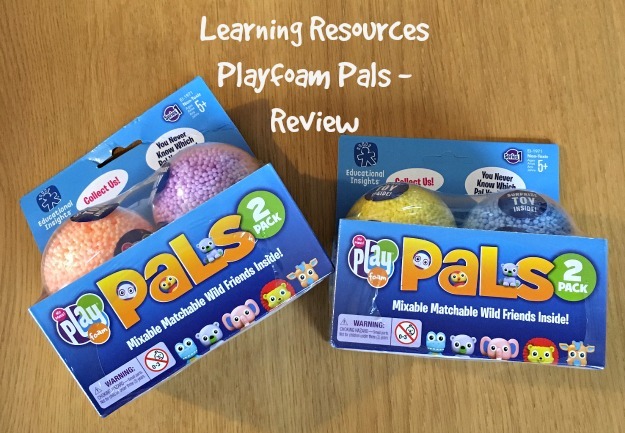 When we were asked if we would like to review* Learning Resources Playfoam Pals I knew straight away that Bear would absolutely love them. 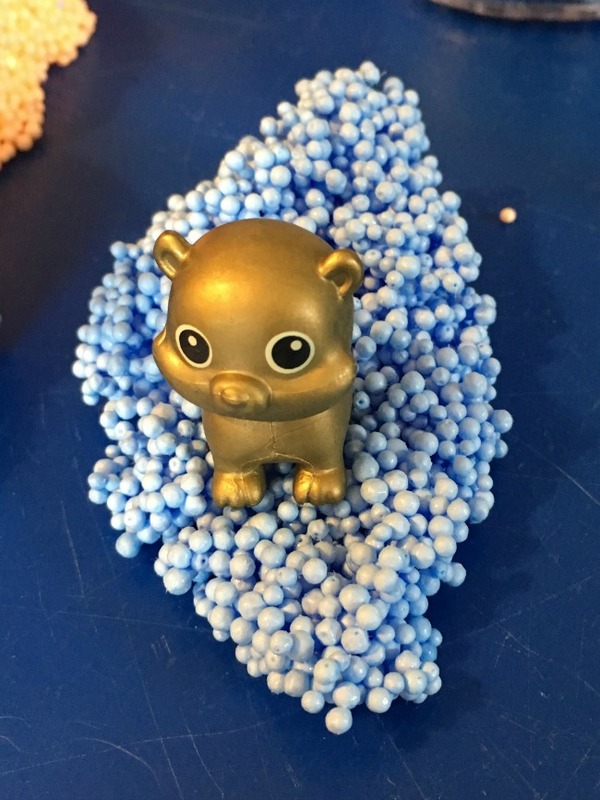 Little animal pals hidden in Playfoam, sparkles, and mess! What more could a boy ask for? Bear was delighted when he saw them. "Look what we have today" I said "WOW!" he exclaimed, "I love them!" The packaging state that they are mess free (oh yeah, I thought), so with tuff tray on the table to collect all the bits, Bear opened them. Bear eagerly dug his fingers into the foam, and it didn't fly eveywhere. It just stuck to itself. A few stray balls escaped but they were easy to pick up with a handful of the foam. I was intrigued. 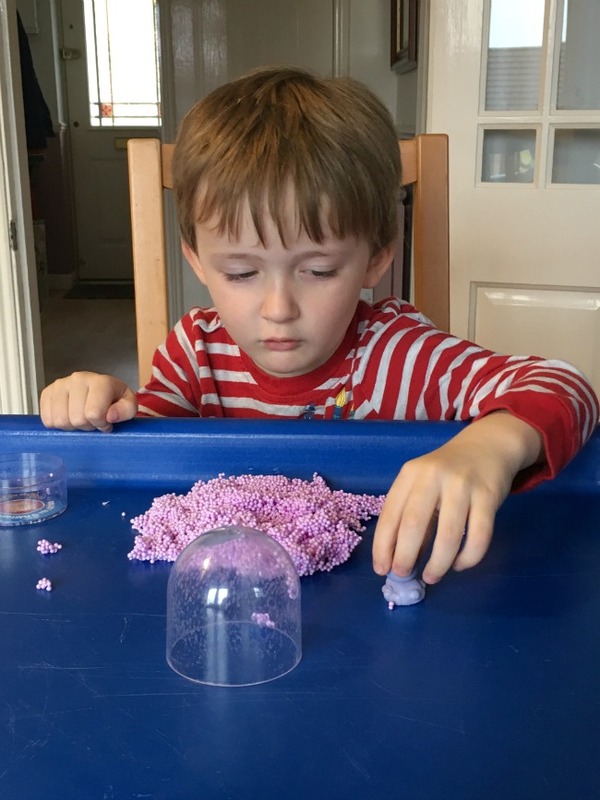 It looks like loose polystyrene balls, and we know what a mess they can make. These are held together by some magical, toxic free, sticky (but not sticky) stuff. I touched it. It was sticky and very tactile. I grabbed a handful, with loud protests from Bear. I had to give it back and my hands were clean. No stickyness, no bits everywhere. To my surprise Bear started playing with the animal straight away. I thought he would open them all, and once he had found the toys, lose interest. Not at all. He wanted to play. He made a bed, and a road for Pearl. 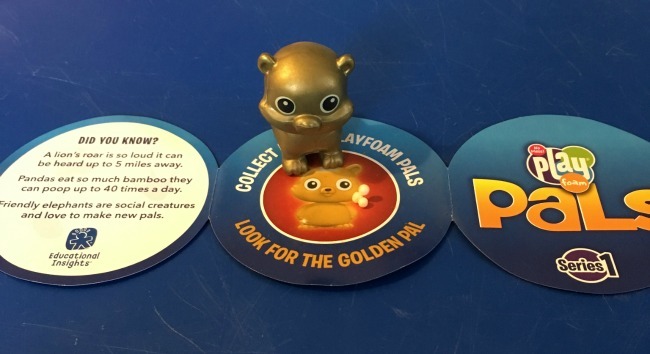 There are twelve Playfoam Pals to collect and each is randomly hidden in the Playfoam. 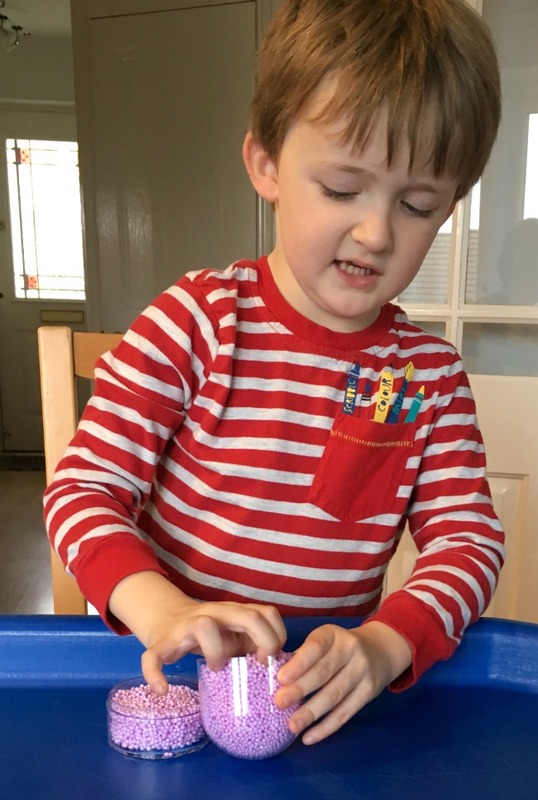 Each toy has a name and there is a leaflet inside to help identify each one. We had two the same which amused Bear - twins, he declared. The next was a Golden Playfoam Pal called Kitty. Bear was perplexed, the information leaflet has pictures of all the collectables, but not this one. It's a special toy, find a golden one and you are special too, I tell him. This pleased Bear no end. He was special and he loved it. The foam is really mouldable. 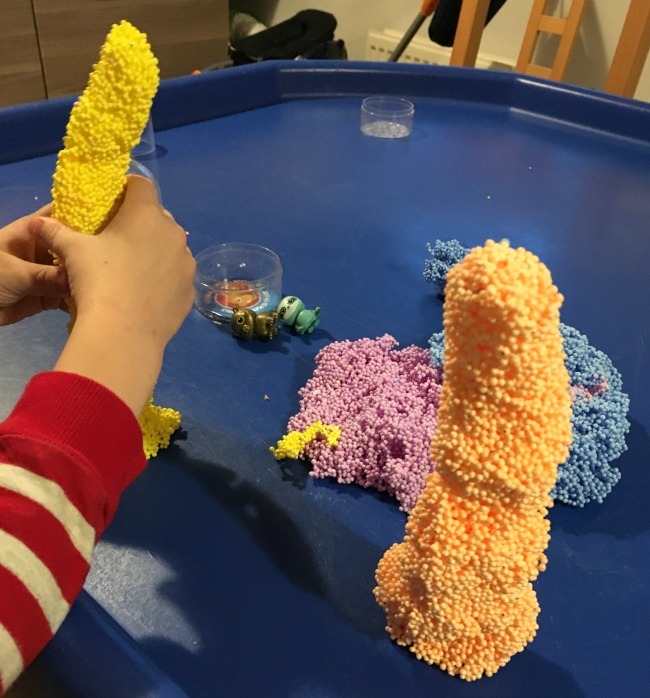 We made balls and towers. Don't laugh at the towers! We were seeing how tall we could make them before they collapsed and fell over. Bear played for ages, not just that day either. He loves making up stories and making things from the foam for the Pals. It's a great way to spend an hour or two on a cold, dark winters afternoon. Bear loved the Playfoam Pals, they would make great stocking fillers. They are not messy so the tuff tray wasn't needed. Like all random collectables there is a possibility of getting the same animal more than once. This added to Bears pleasure. He loved having twins. 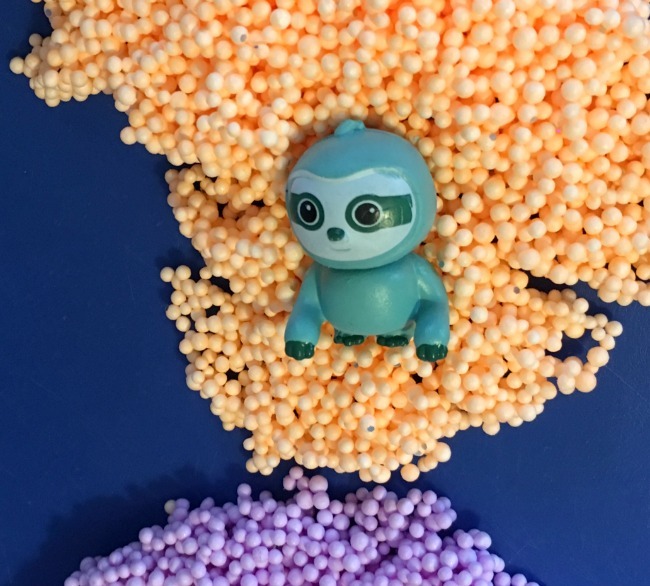 Once finished playing, the foam fits nicely back into the pods. The packaging says that the colour can transfer, we didn't notice any even with the sparkly ones but I would keep it away from carpets and sofas, just incase! 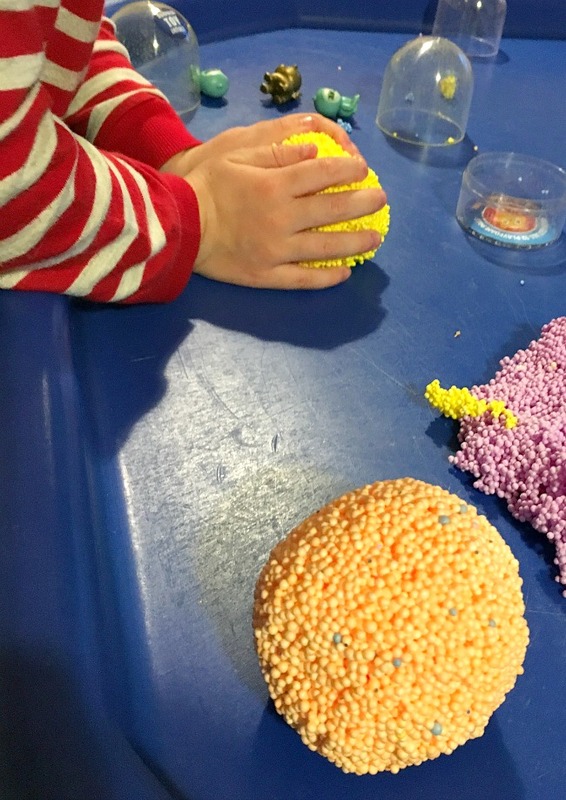 Learning Resouces Playfoam Pals are designed for 5+ and because of small parts are not suitable for under 3s. 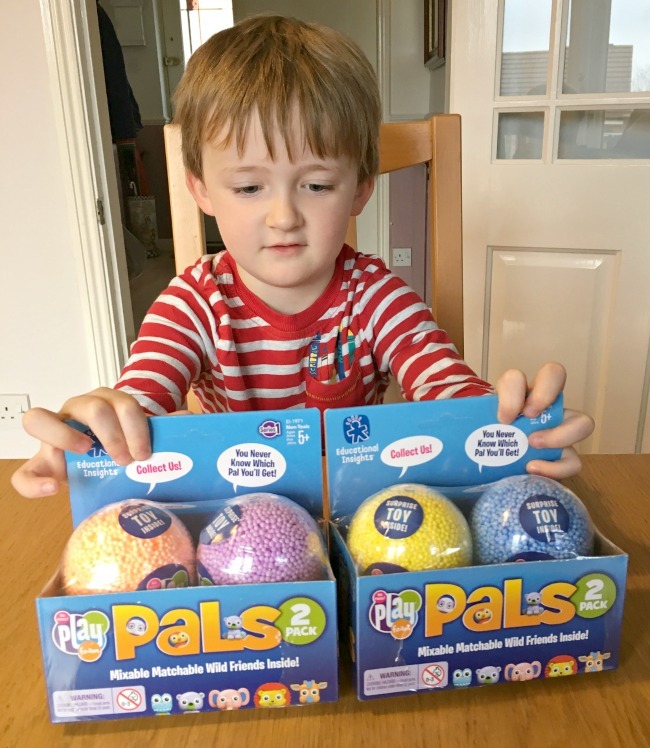 They are available from all good toy shops and online, each box contains two Playfoam Pals and cost £5.99. *We were given these for the purpose of this review. All opinions are honest and our own.